Being a landlord comes with a list of responsibilities that ensure your property is well maintained and your tenants are happy. When you own apartment complexes and other buildings, there are a few key steps that will guarantee everything from lock repairs to alarms are in working order. Below are five to keep in mind. Your tenants want to know they are safe, and keeping up with lock repairs and updating doors are two critical steps. Make sure deadbolts on entry doors are high quality and opt for double-cylinder styles. You may also consider keyless entry and access control systems so the risk of lost keys is reduced. As for doors, install metal or solid wood that is durable and strong against someone trying to break in. Always call a locksmith for rekeying when tenants leave and call immediately for lock repair if anything is weak or damaged. Especially if you have multiple entrances or a large parking area, a security system will help protect both property and tenants. 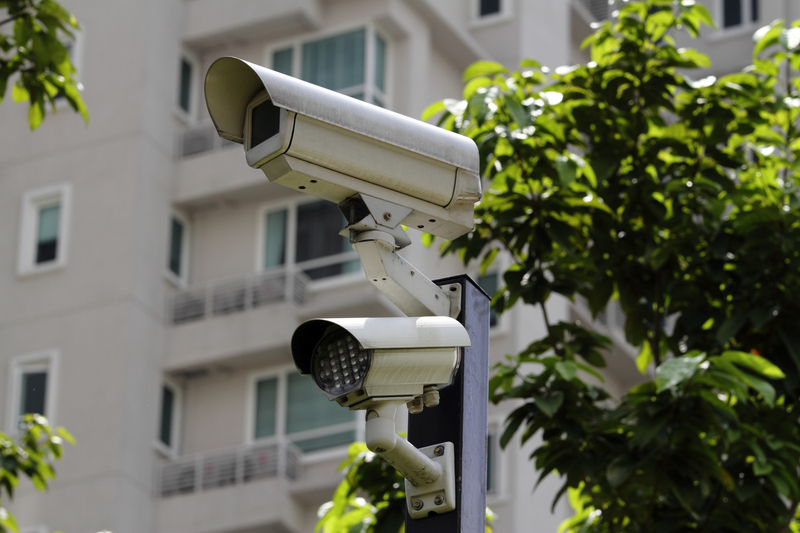 Install surveillance cameras on every entrance and in parking lots or garages. Make sure the entire building is well lit and that paths toward parking areas are illuminated so every tenant and guest feel safe. Choose a remote system so you can access cameras anytime from anywhere. Check that you have the right amount of fire and carbon monoxide detectors throughout the property. Every bedroom and common area on each level must have alarms. Test batteries in common areas and remind tenants to test those found in their living areas monthly. Post evacuation plans and make sure any fire extinguishers are up-to-date and easily accessible in case of emergency. Ensure electrical wiring is up to code and that any old fixtures and connections are replaced. Call for an electrical inspection and have a professional assess the safety of your property, especially in older buildings. Also, call for annual HVAC inspections and duct cleaning to keep systems in top shape and air quality clean. Consider hiring a property manager, especially if you are not local to the building. Managers will help with day-to-day maintenance and can be a direct contact for every tenant. In addition to lightening your load, it reassures your renters that you care about their safety and comfort. For more than 30 years, ADA NY Locksmith Inc. has been New York City’s locksmith to call for anything from lock repairs to 24-hour emergency lockout services. Whether you are a landlord for residential buildings or you have a commercial property that needs rekeying, their team can help. Visit their storefront on East 26th Street to speak with an expert today. Call (212) 689-1803 for a 24-hour locksmith or visit them online for a full list of services.